There is a dark undercurrent beneath partisan howls of ‘Make America Great Again’ and ‘Stronger Together.’ The American Dream is eluding many in this country. People feel under siege due in large measure to complex economic forces in a global economy that have dramatically shifted national demographics and diminished industrial manufacturing, extinguishing jobs or shipping them overseas. Make no mistake about it: Life, Liberty and Pursuit of Happiness in the 21st century is completely reliant upon possessing not only reading literacy, but a conceptual understanding of math and science as well as amassing critical thinking skills. STEM literacy is essential for all jobs and careers that we aspire for our children, whether they are college bound, interested in 21st century trades, a service industry or starting a business. But our nation’s STEM Report Card, which assesses how students are performing in fields considered essential to competing in a global economy, tells a grim tale: on April 27th it showed our kids lagging perilously behind other nations in math and on October 27th that two-thirds are not proficient in science. Underfunded and ill-equipped public classrooms in our country burgeon with kids struggling to learn from teachers who are desperately in need of both time and training to provide them with the vital tools that they need to succeed in our country’s ‘New Markets’ environment. 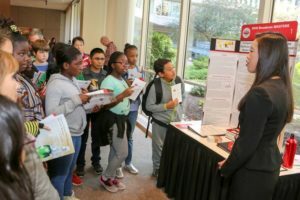 In a recent White House blog, Jo Handelsman and Megan Smith wrote that despite President Obama’s inroads into closing the STEM literacy gap, there is much work to be done beyond 2016. 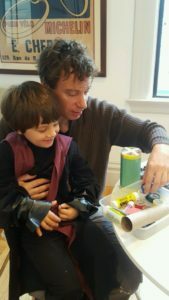 “[T]o realize the vision of a highly diverse, creative, and sufficient STEM workforce and a STEM-literate citizenry, the Nation must engage all students.” The next president must lead an aggressive, comprehensive national STEM movement that empowers every child to succeed in a changing global economy, no matter what his or her calling. Ours is a country founded by scientists, engineers and critical thinkers. Creating a STEM literate society must be recognizedas the national birthright of every 21st century child if the United States is to continue its prodigious path forward as the most remarkable human experiment in the history of civilization. Our next president must bring both the bully pulpit and full authority of the Executive Branch to carry out the STEM literary campaign as one of the highest priorities for our national security. 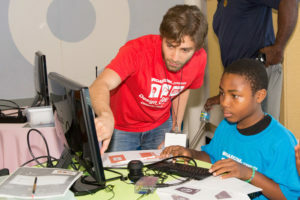 All Cabinet level departments, not just Education, but Labor, Commerce, Defense, Energy, Transportation, Health and Human Services as well as all science-mission agencies – the NSF, NASA, EPA and others – should be charged to coordinate a 360 degree, student-centric STEM literacy campaign that supports formal, informal, after school and parenting hours to achieve this national goal. Tax benefits to businesses who bring money and manpower to STEM education as well as incentives and awards for young and old who volunteer can do much to accelerate this national movement. 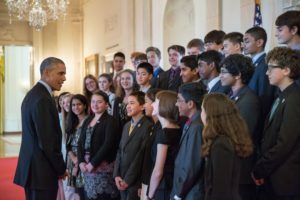 President Obama’s White House Science Fair has brought enormous attention and prestige to student achievement in science, technology, engineering and math. To expand upon this, the next president should institute a lucrative national prize structure around science fair and STEM competitions that incentivizes all schools from K-12 to formally re-instate a project-based learning experience every year from 3rd to 12th grade. And our Congress must get behind enabling every child to be battled-tested and ready for the 21st century by heavily funding the national STEM literacy movement. This not only secures our national preeminence as an economic super power over the long haul, but positively impacts every child within their constituencies. Come January 20, 2017, there will be no red states or blue states: just the United States of America. “Greater” and “Stronger” can only be realized through a sustained national movement that guarantees STEM literary for every child. This movement will create a muscular, competitive workforce with 21st century skills required to drive forward American Ingenuity that, since our founding, has been our most powerful attribute, and of which our nation has no peer.